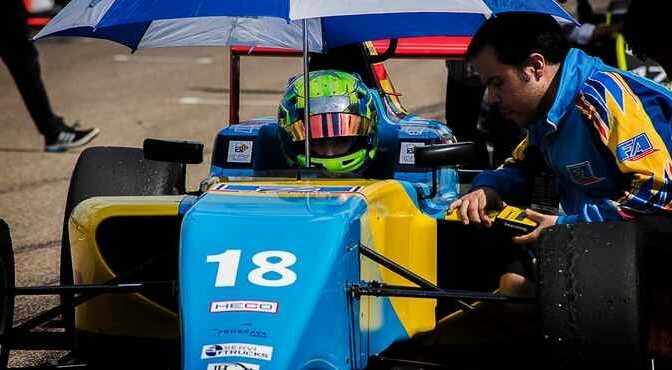 Guillem Pujeu made an impressive start to the season as the young ace dominated the first event of the Spanish F4 Championship in Alcañiz. 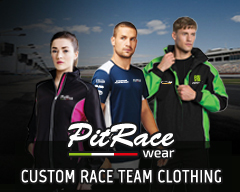 Pujeu’s effort together with FA Racing in preseason testing paid off at Motorland Aragón. Just like in preseason testing at the same circuit, Pujeu led the way in the private testing ahead of qualifying. Pujeu posted a best lap of 1:50.519, more than six tenths clear of his closest rival. Besides, FA Racing and their mechanics also made an excellent work to repair on time the car following an off track. On Saturday, Pujeu secured a front-row start with 2nd-fastest lap time of 1:50.938, which was a mere tenth slower than Isac Blomqvist’s pole position. In the afternoon, Pujeu stayed right behind Blomqvist for ten laps but with five laps to go moved into the lead to take the chequered flag in first place. Sunday saw a similar performance coming from Pujeu. In Race 2, Pujeu passed Blomqvist for the lead at the start and pulled away scoring the fastest lap. The driver of FA Racing built a 4-second gap to add another triumph to his tally. In Race 3, Guillem set to start from the front row after clocking a time of 1:51.385 in Q2. Pujeu ran in second place behind Amaury Cordeel until three laps to go. Cordeel handed a penalty and Pujeu inherited the lead scoring another fastest lap.